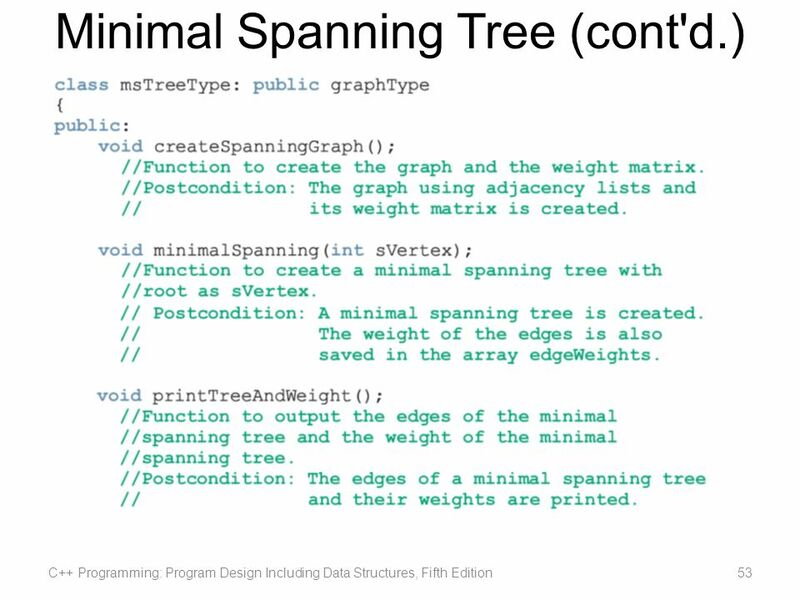 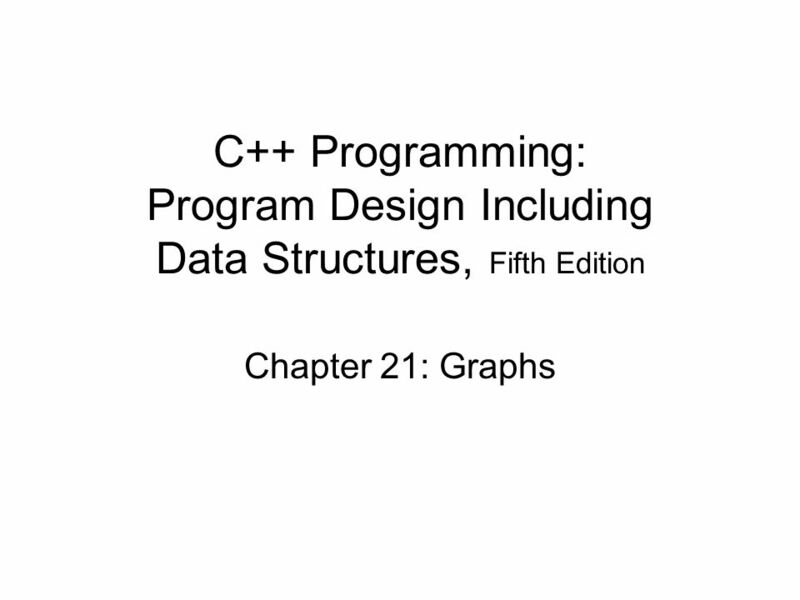 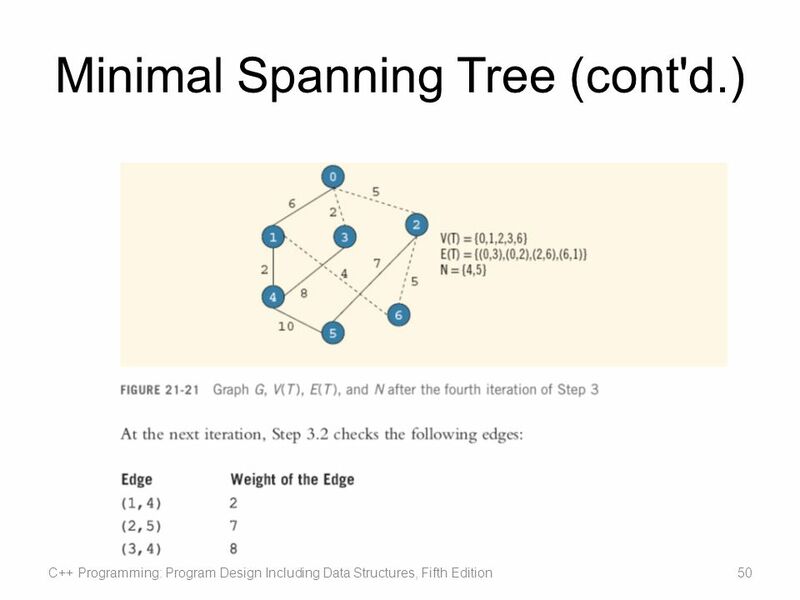 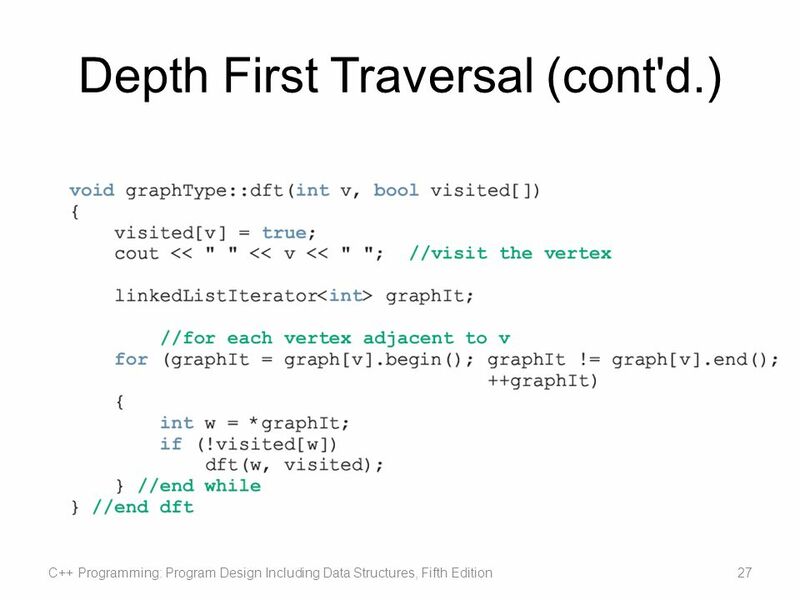 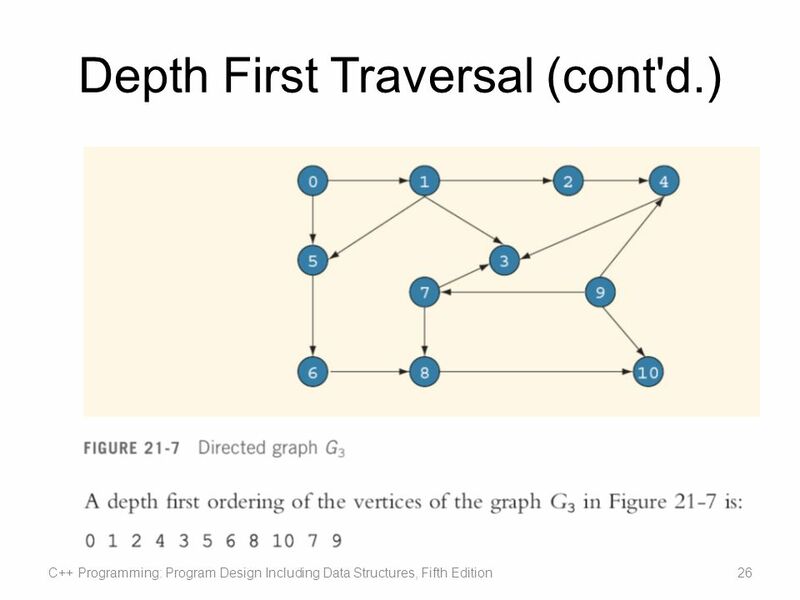 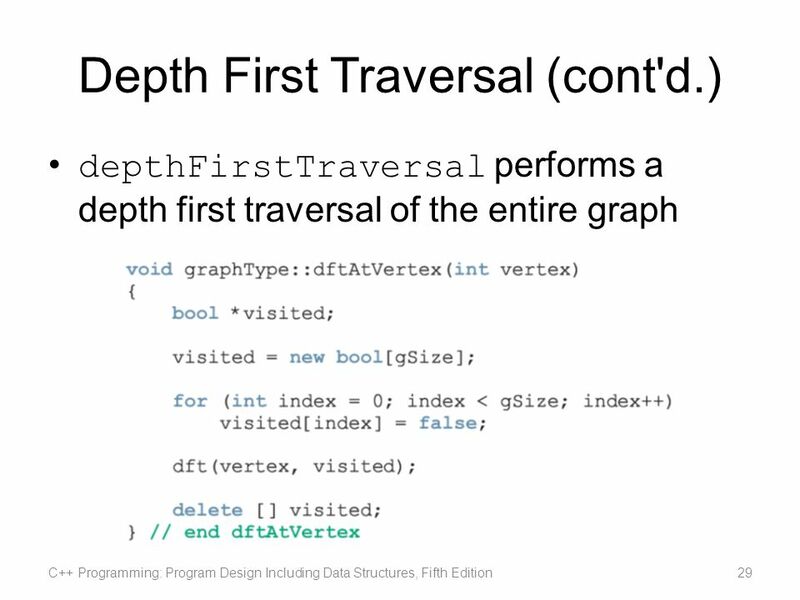 C++ Programming: Program Design Including Data Structures, Fifth Edition Chapter 21: Graphs. 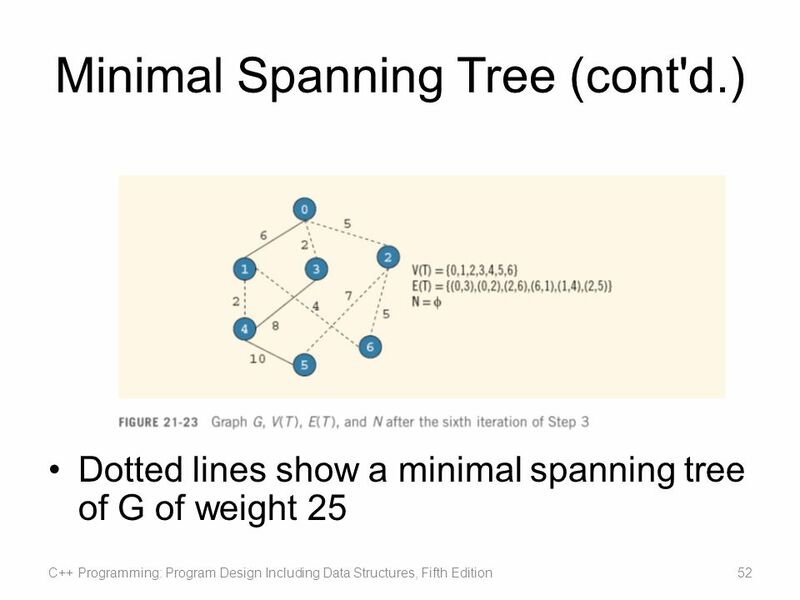 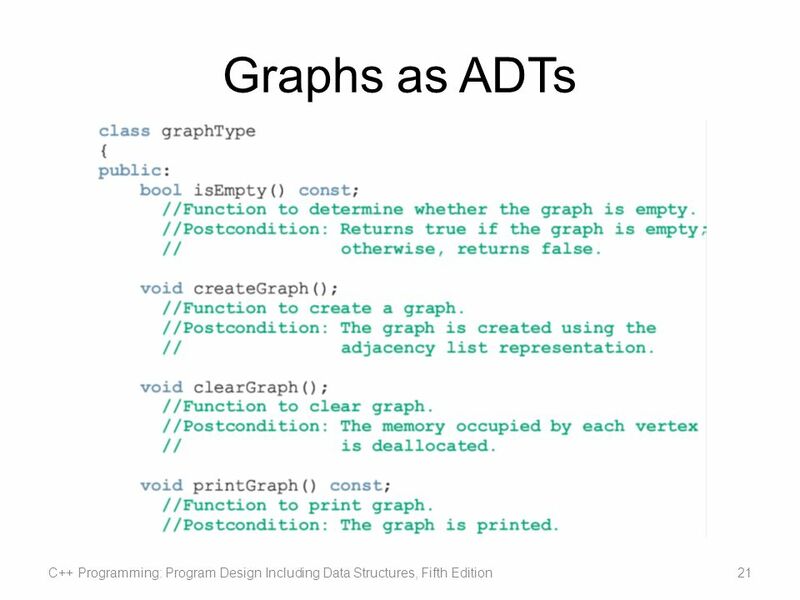 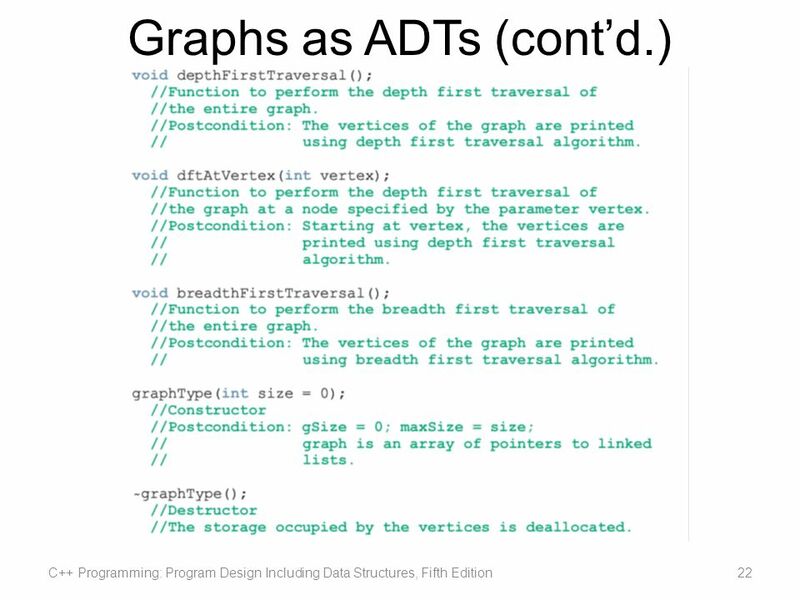 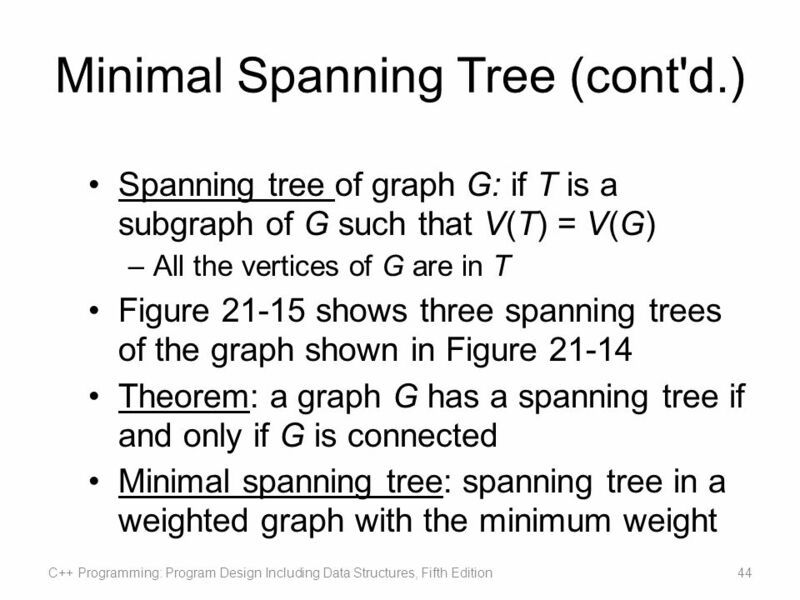 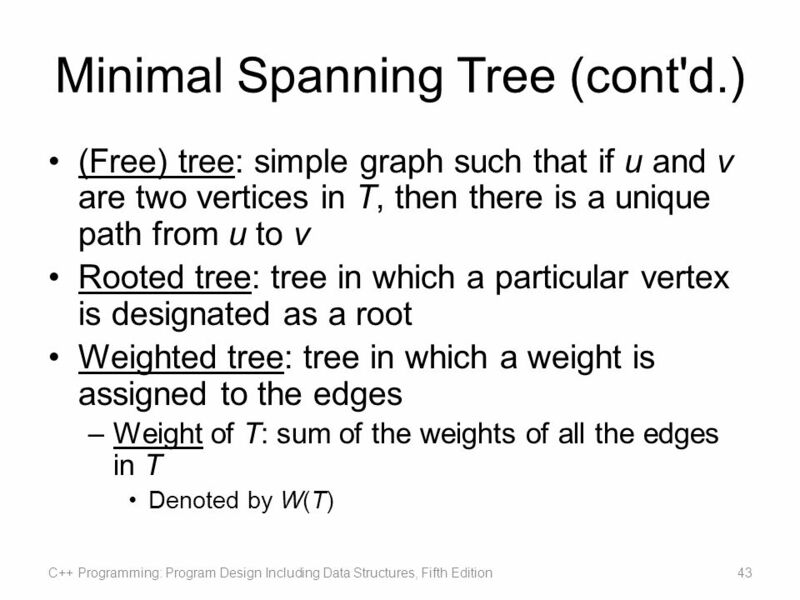 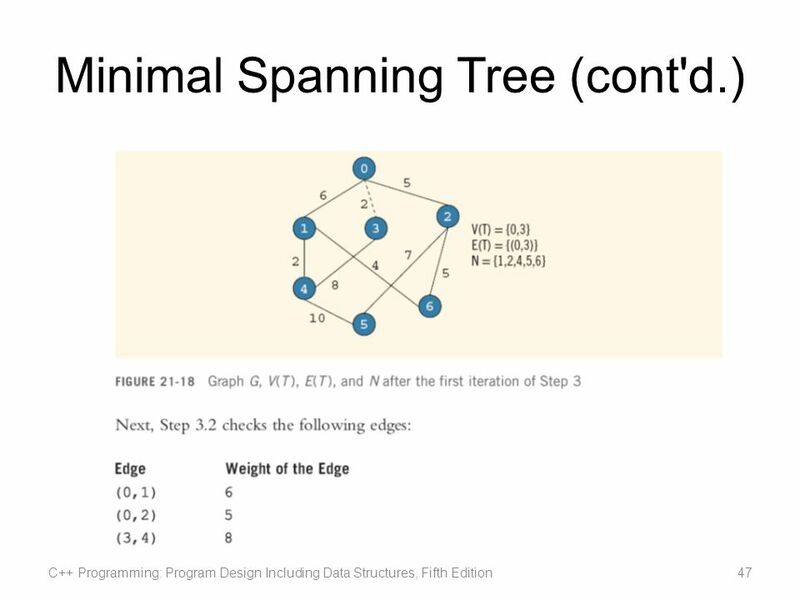 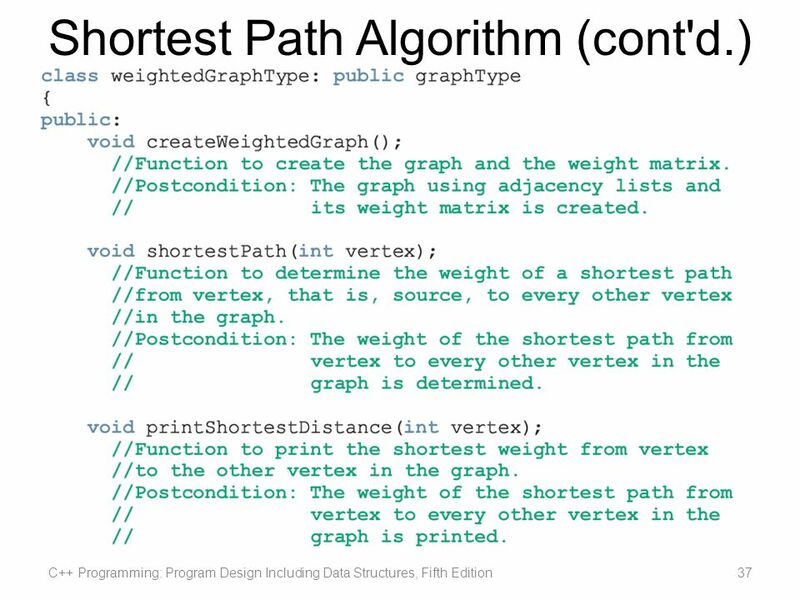 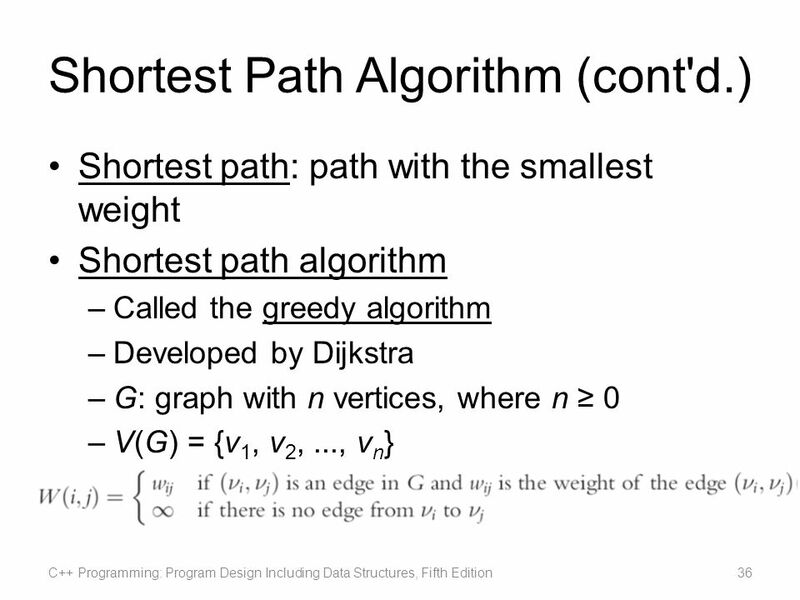 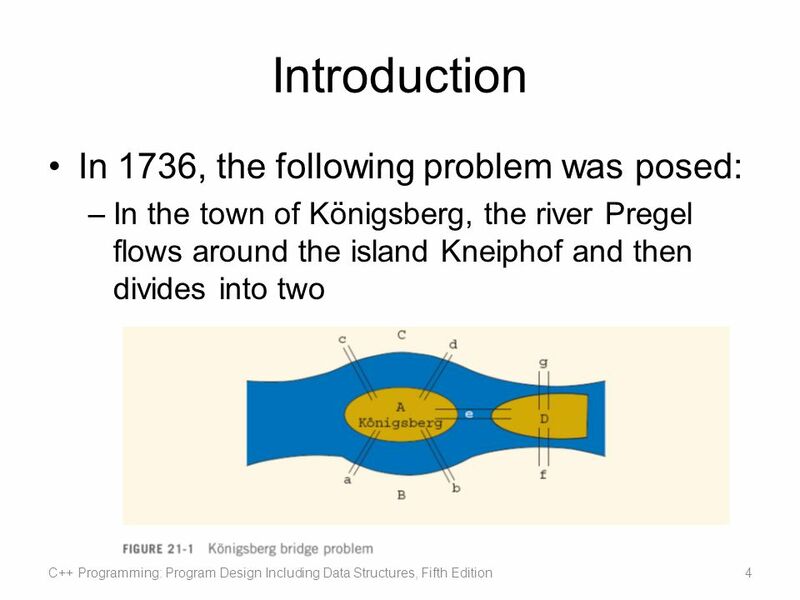 Download ppt "C++ Programming: Program Design Including Data Structures, Fifth Edition Chapter 21: Graphs." 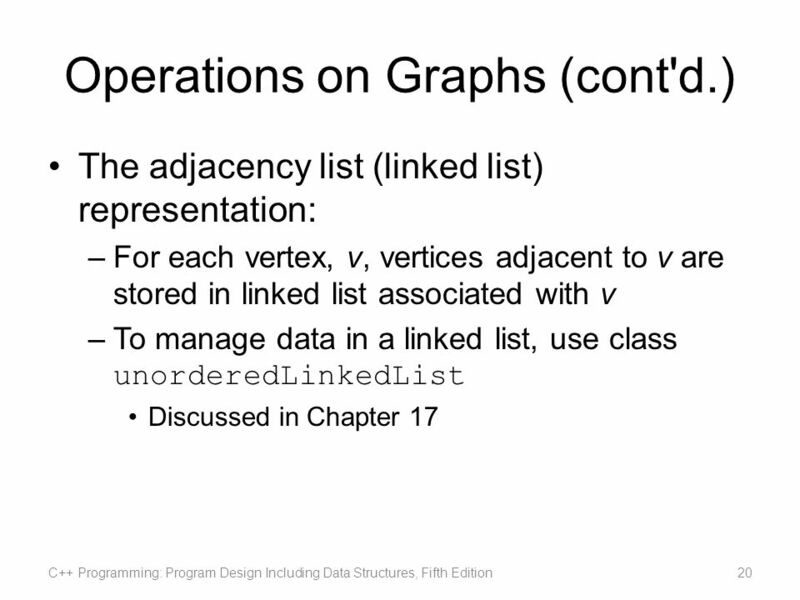 Microsoft Visual Basic 2005: Reloaded Second Edition Chapter 10 Creating Classes and Objects. 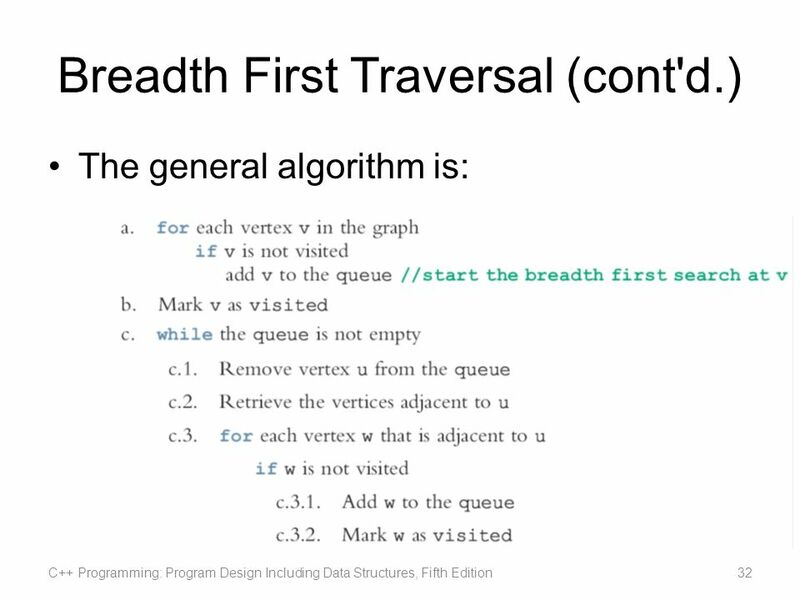 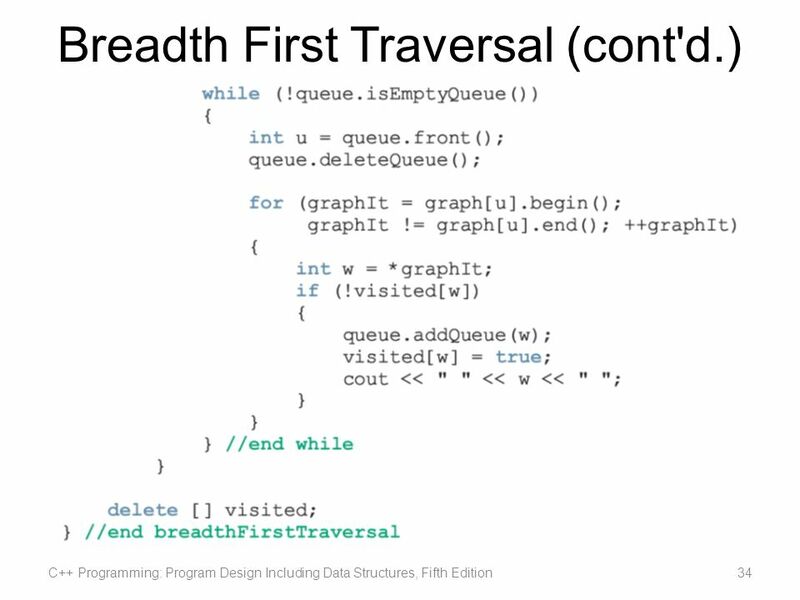 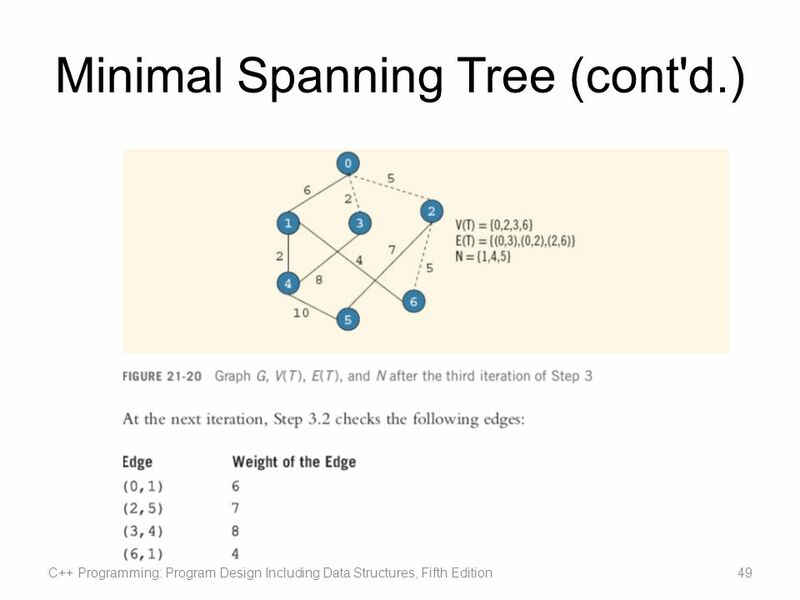 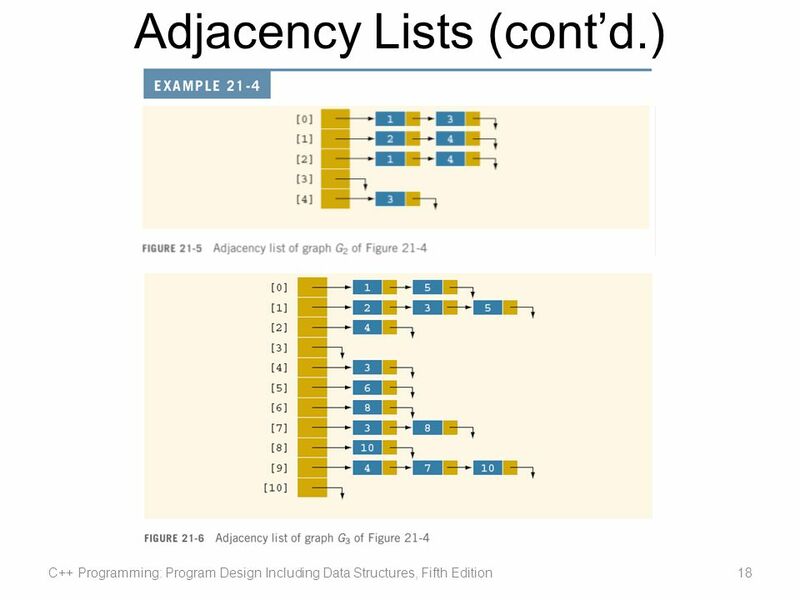 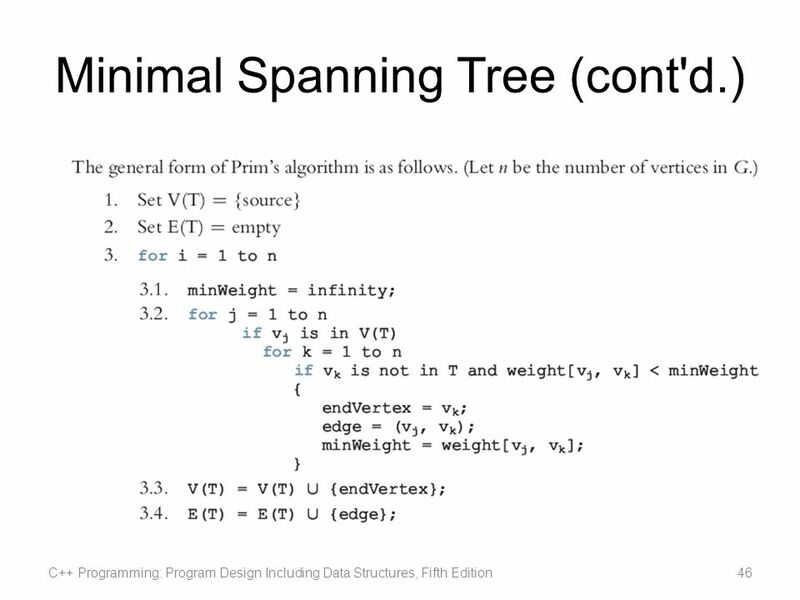 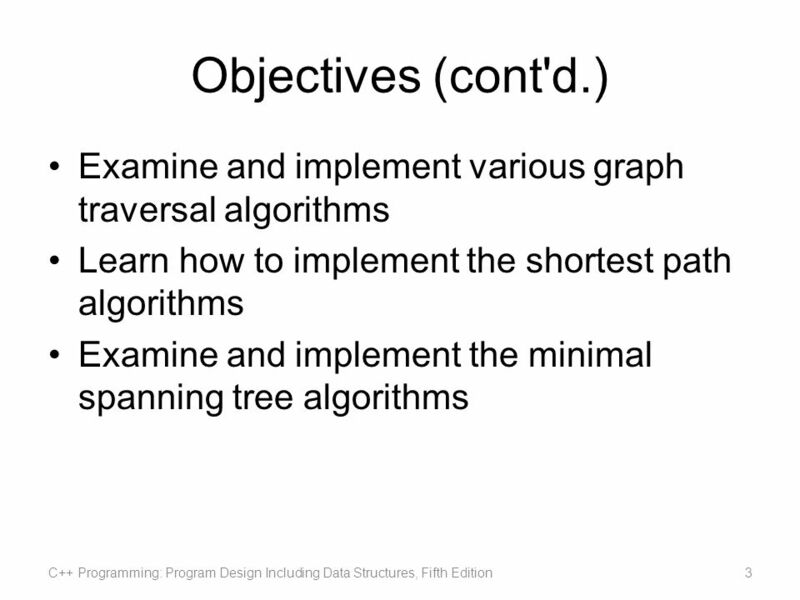 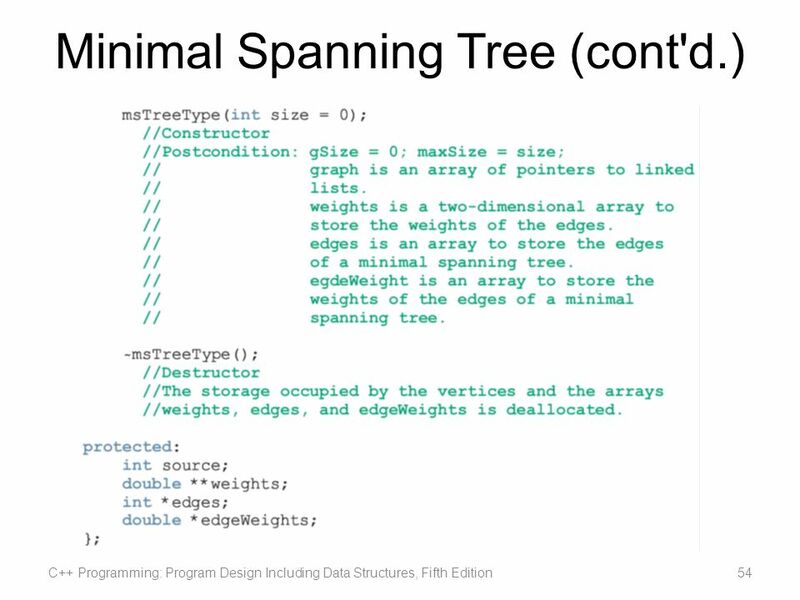 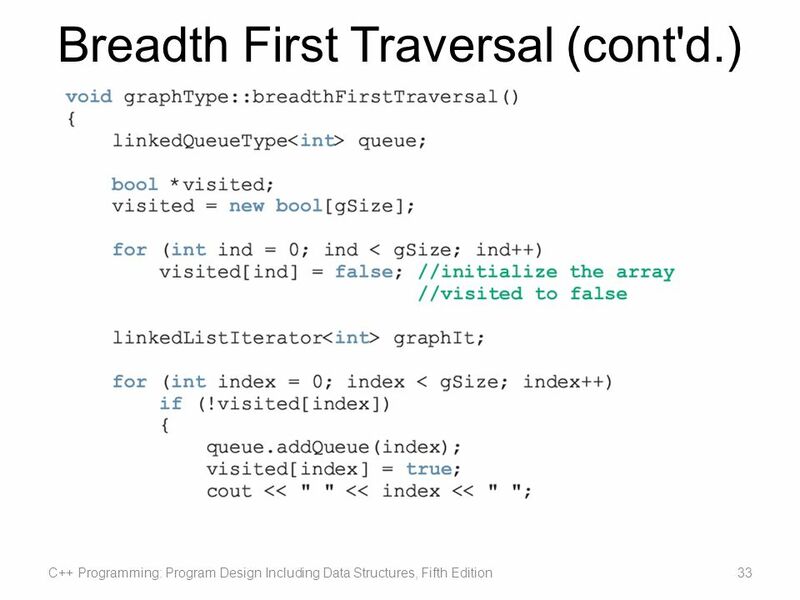 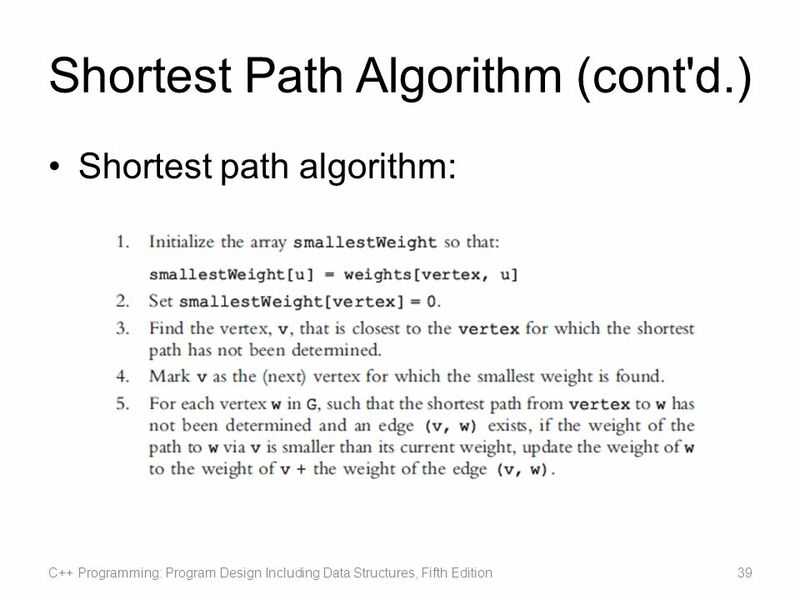 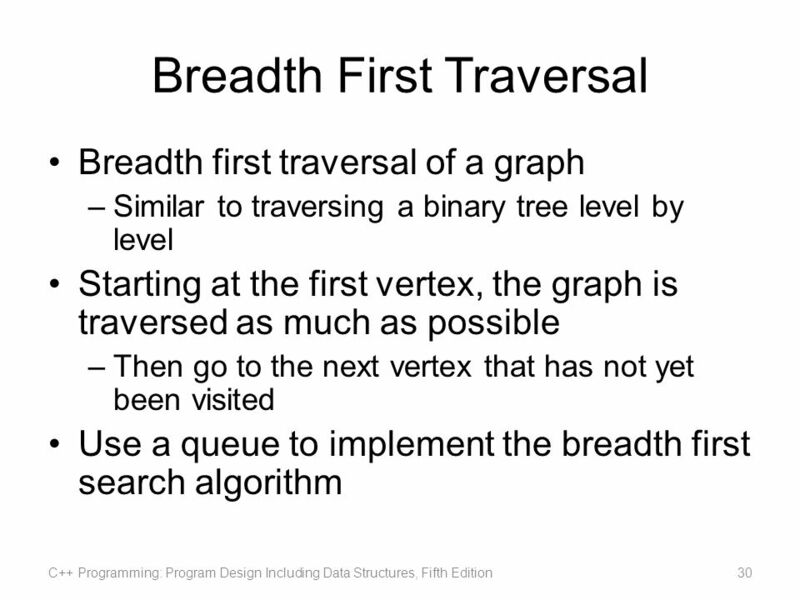 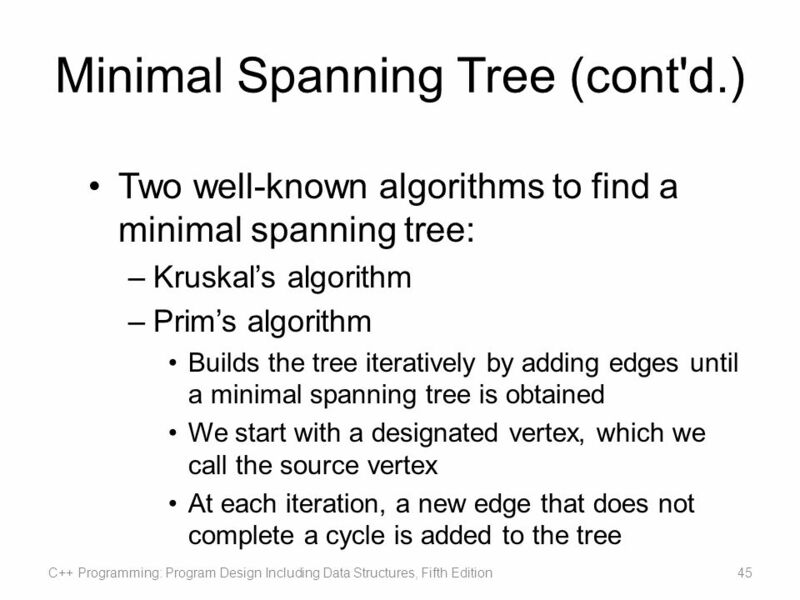 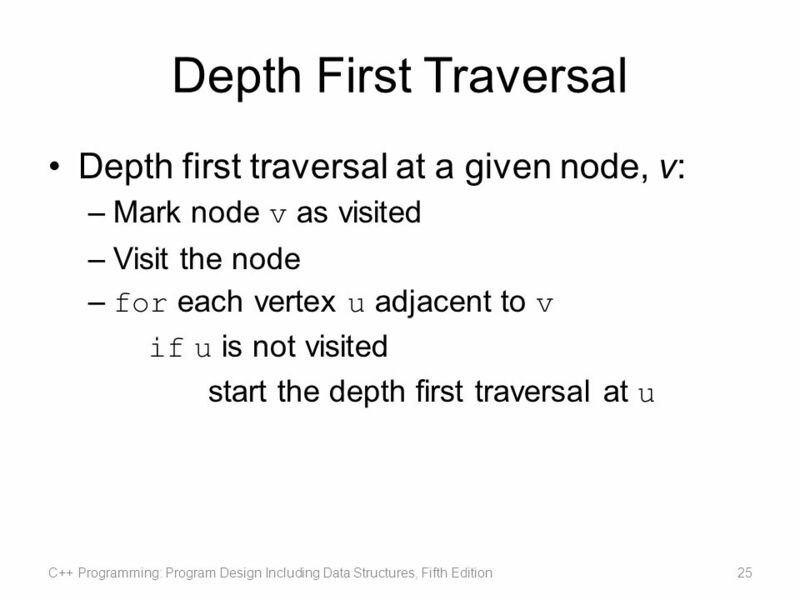 C++ Programming: Program Design Including Data Structures, Fourth Edition Chapter 20: Binary Trees. 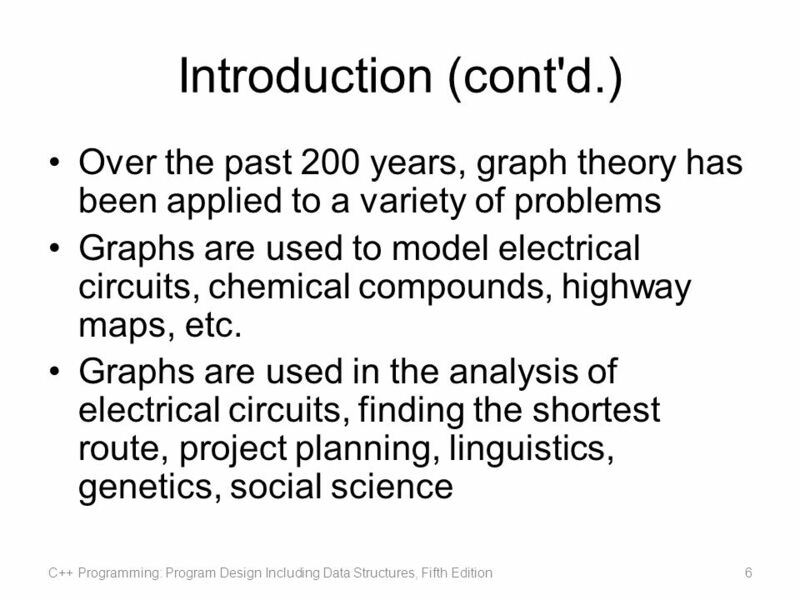 22C:19 Discrete Math Graphs Fall 2010 Sukumar Ghosh. 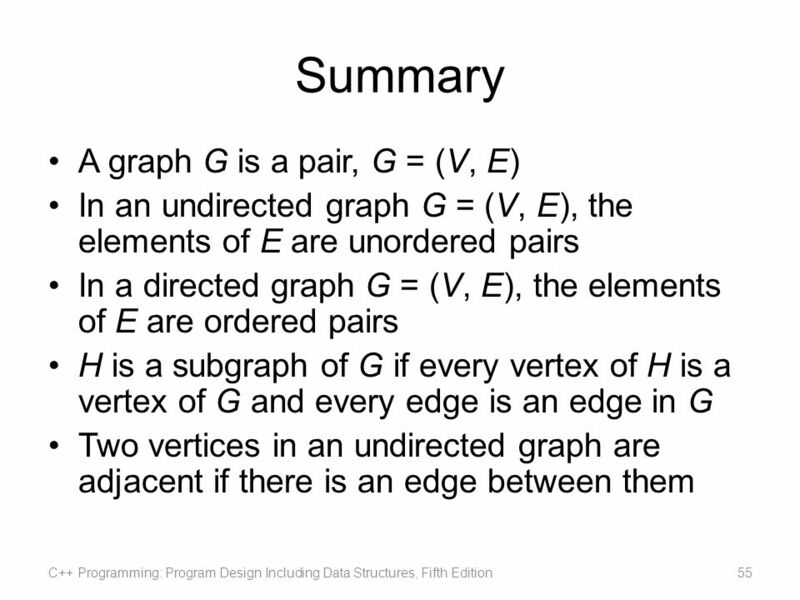 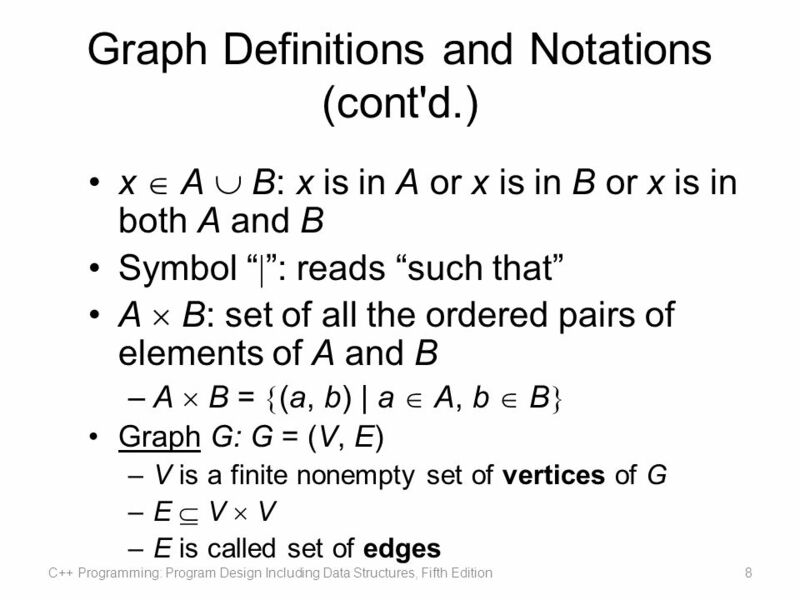 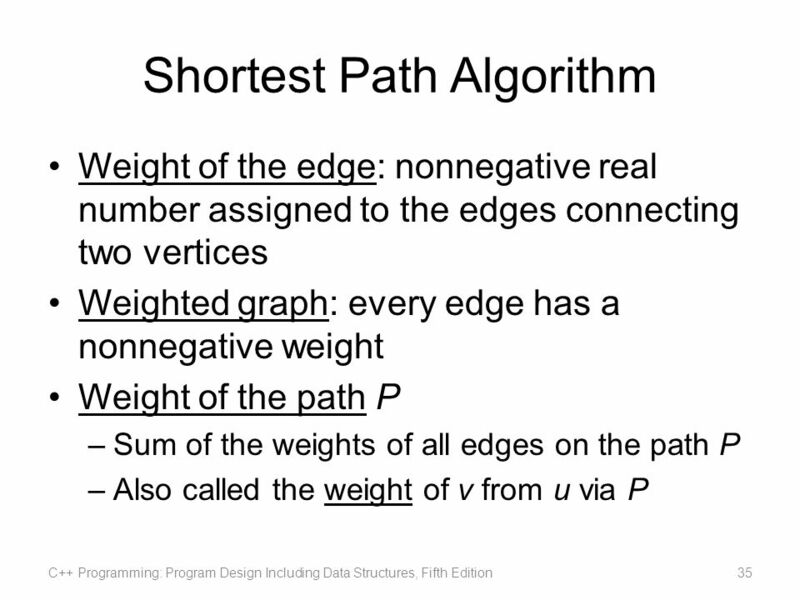 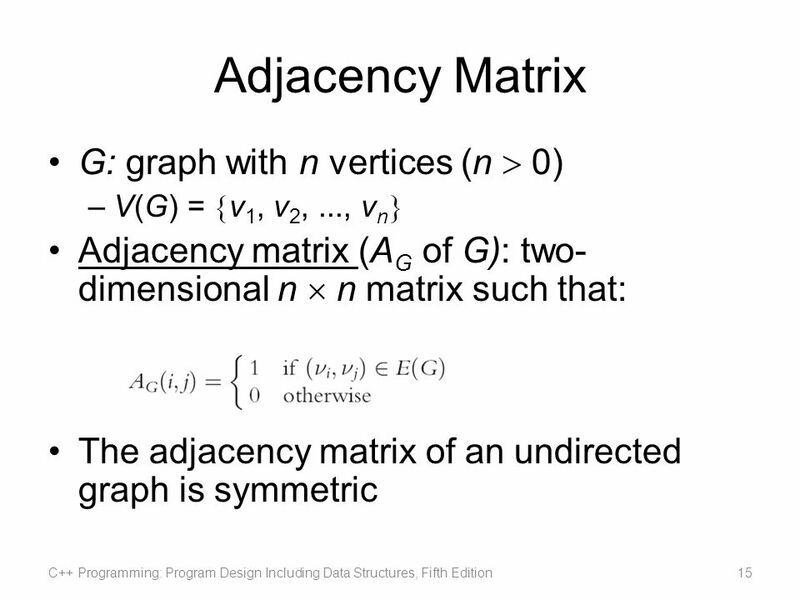 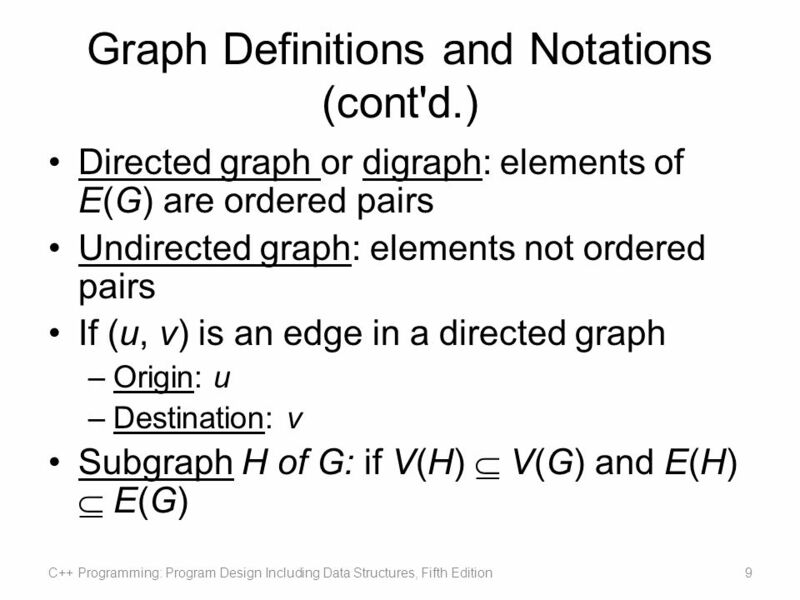 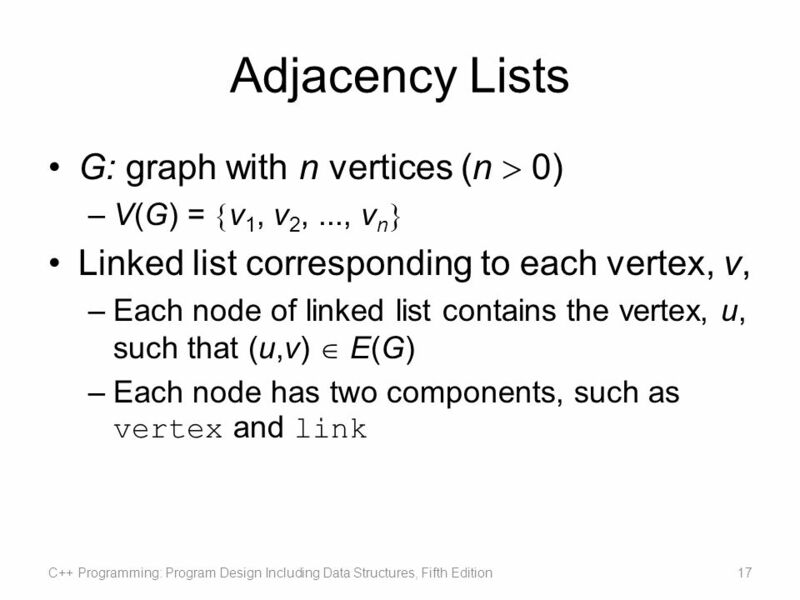 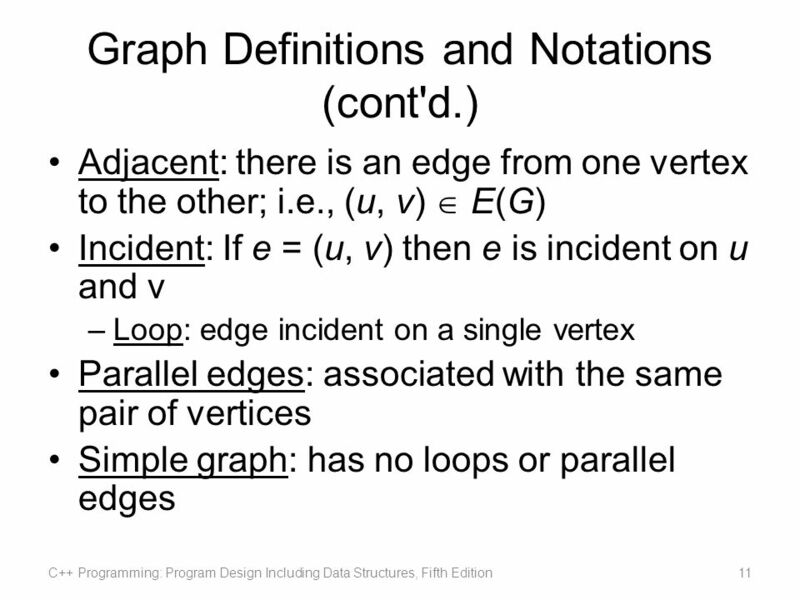 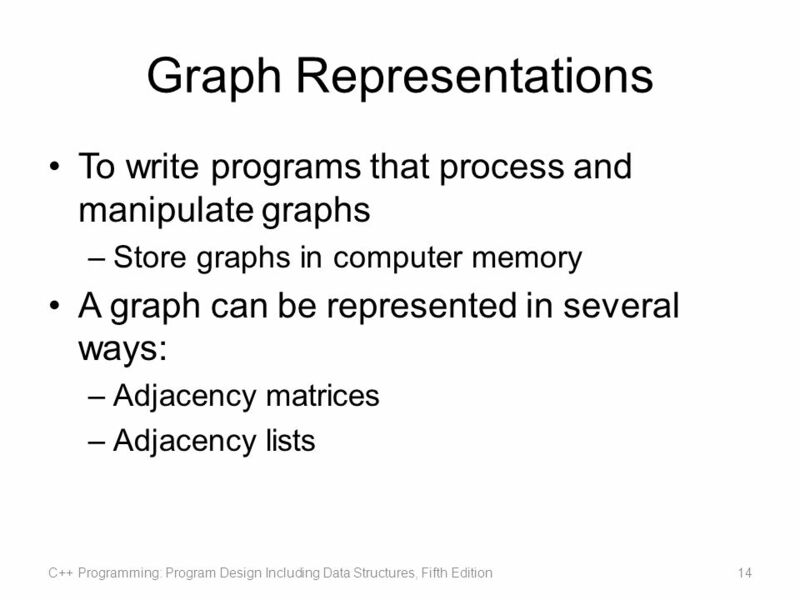 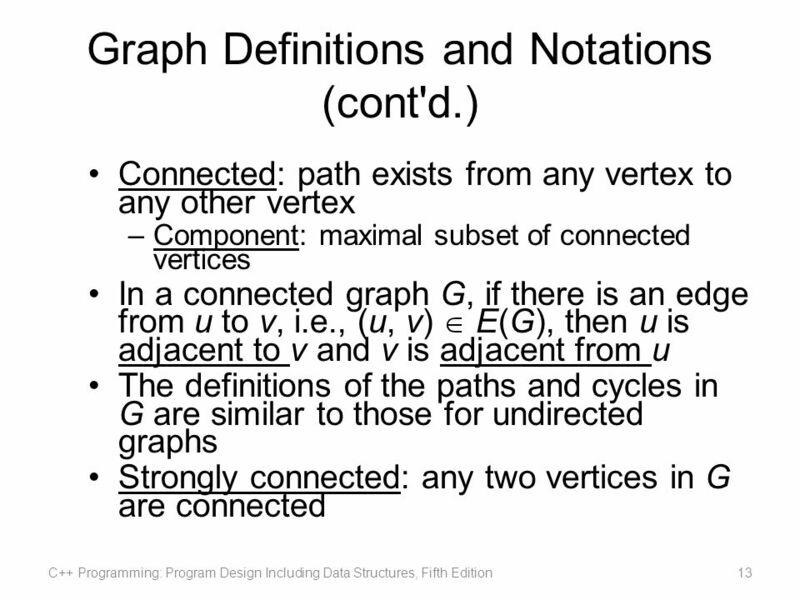 22C:19 Discrete Math Graphs Fall 2014 Sukumar Ghosh. 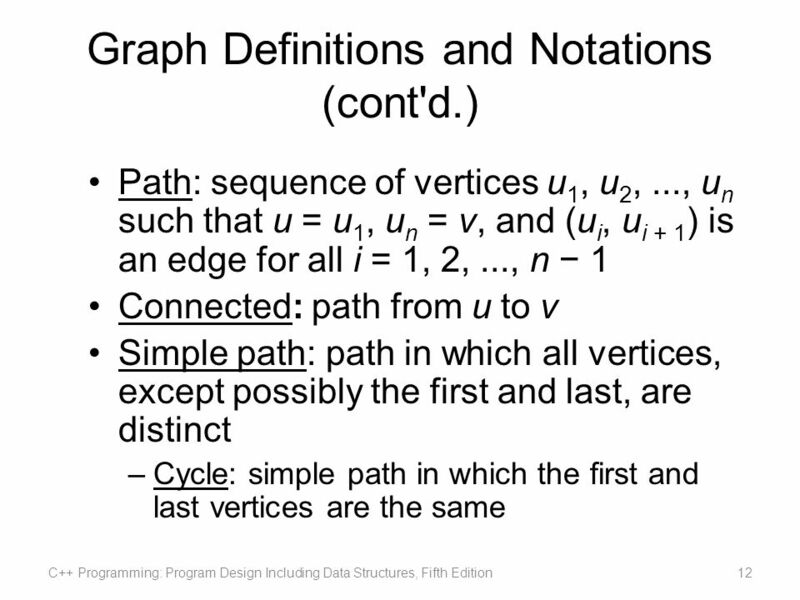 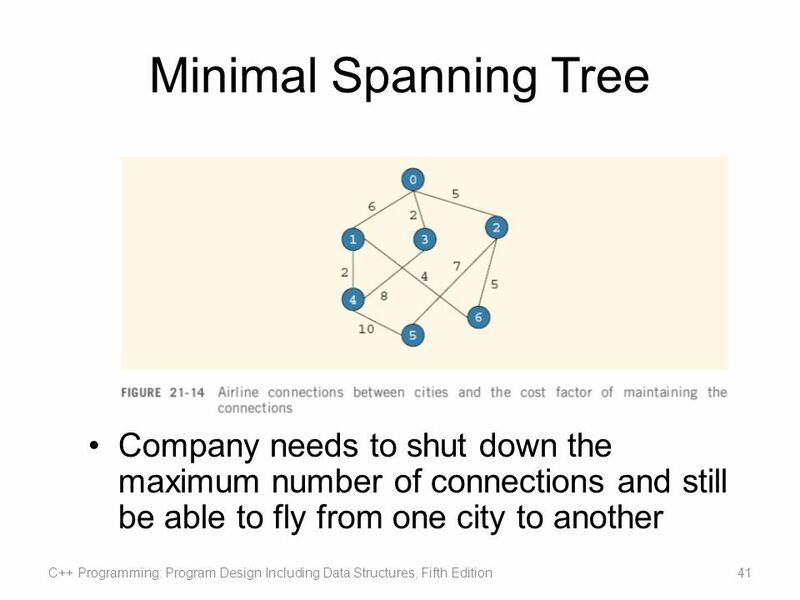 Graphs Chapter Chapter Contents Some Examples and Terminology Road Maps Airline Routes Mazes Course Prerequisites Trees Traversals Breadth-First. 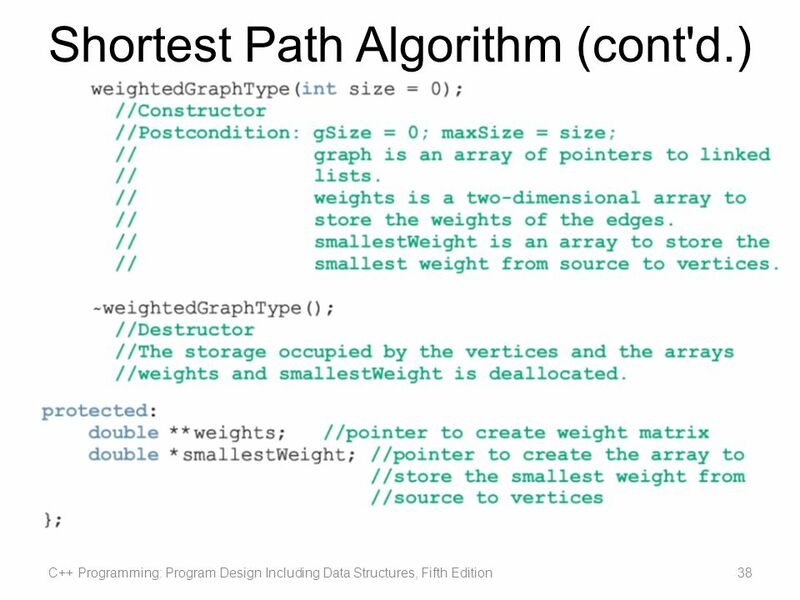 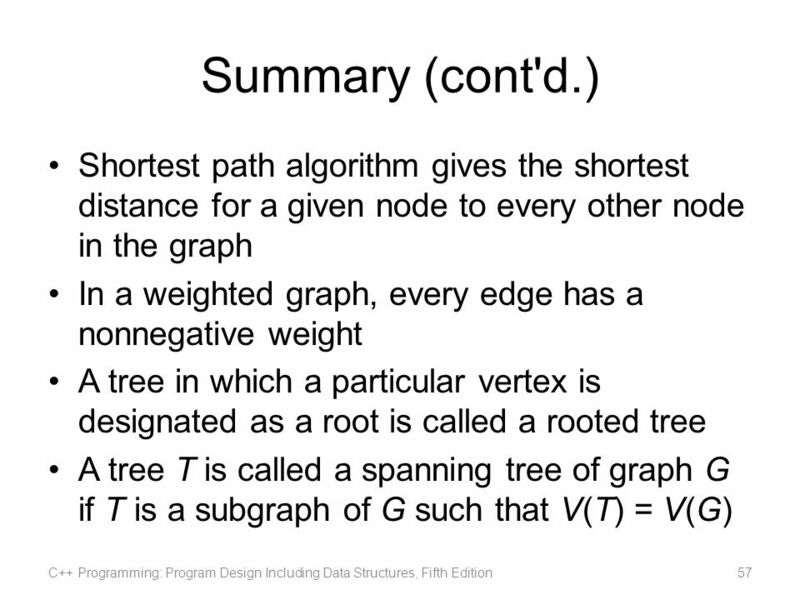 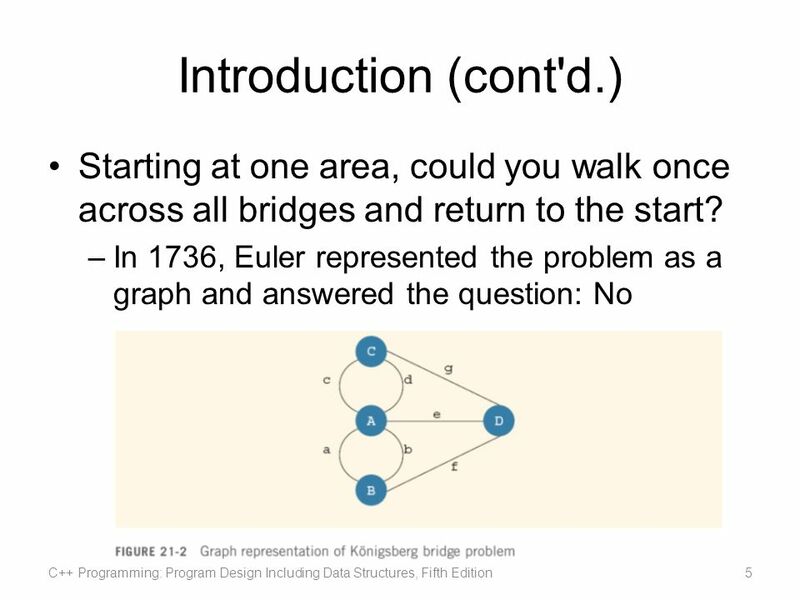 Graphs Chapter 20 Data Structures and Problem Solving with C++: Walls and Mirrors, Carrano and Henry, © 2013. 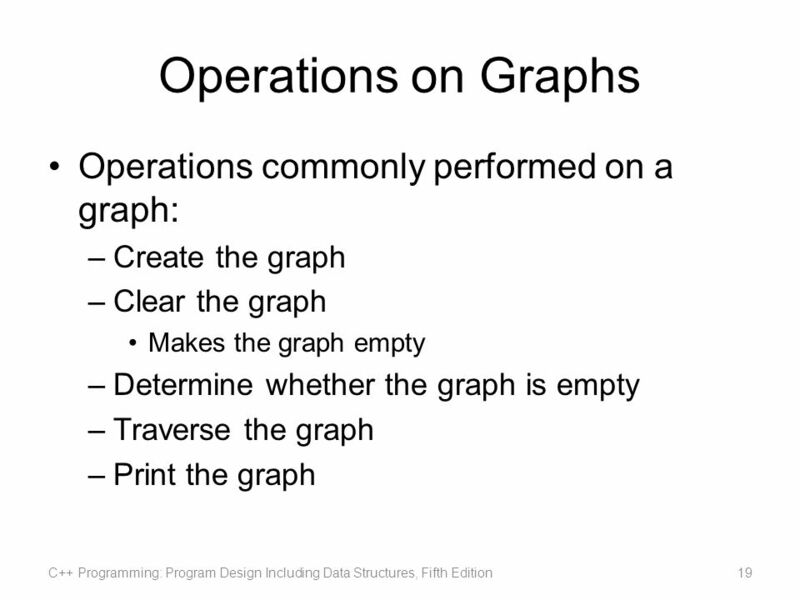 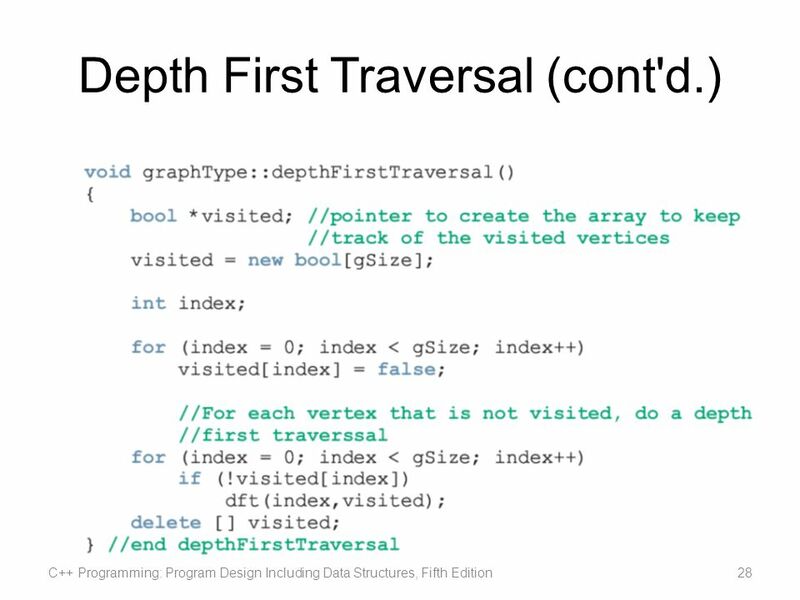 Liang, Introduction to Java Programming, Seventh Edition, (c) 2009 Pearson Education, Inc. All rights reserved Chapter 27 Graph Applications. 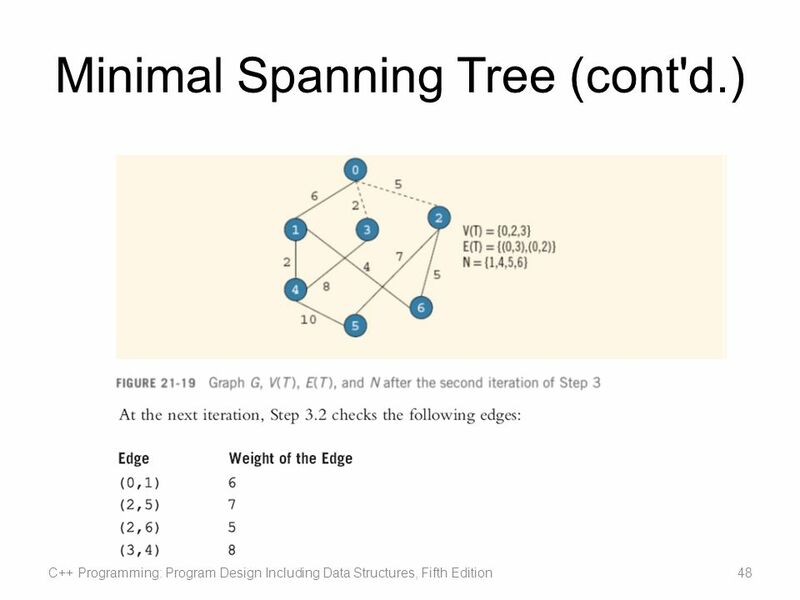 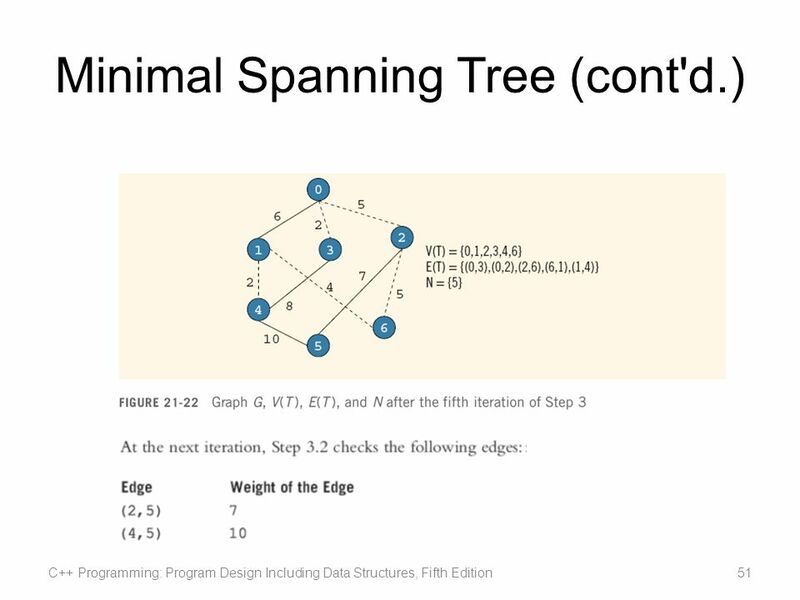 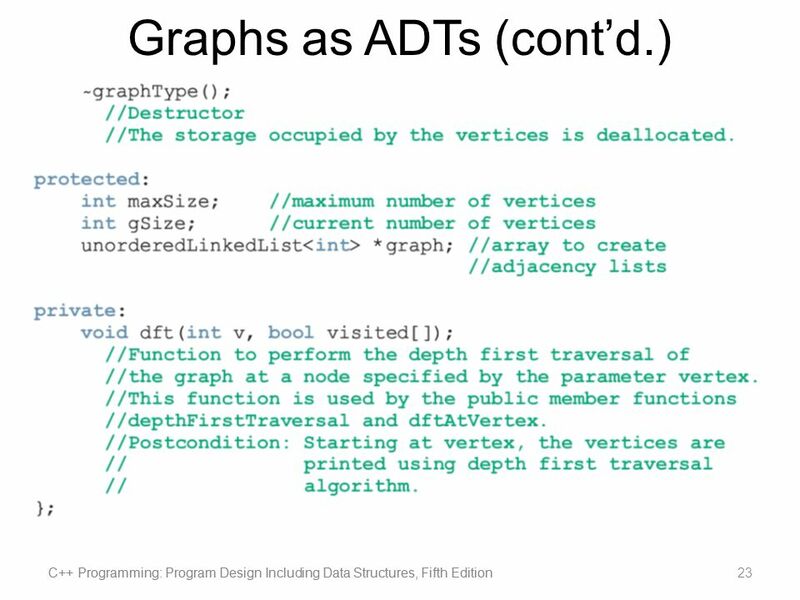 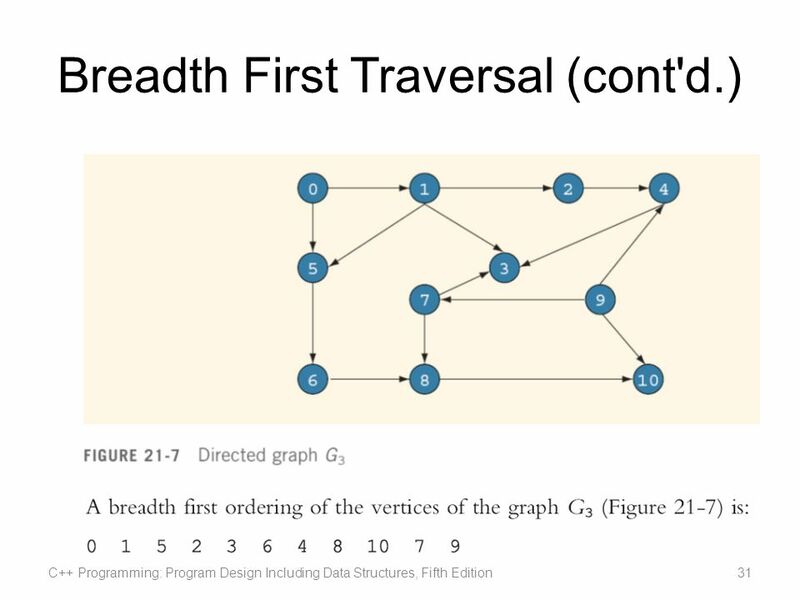 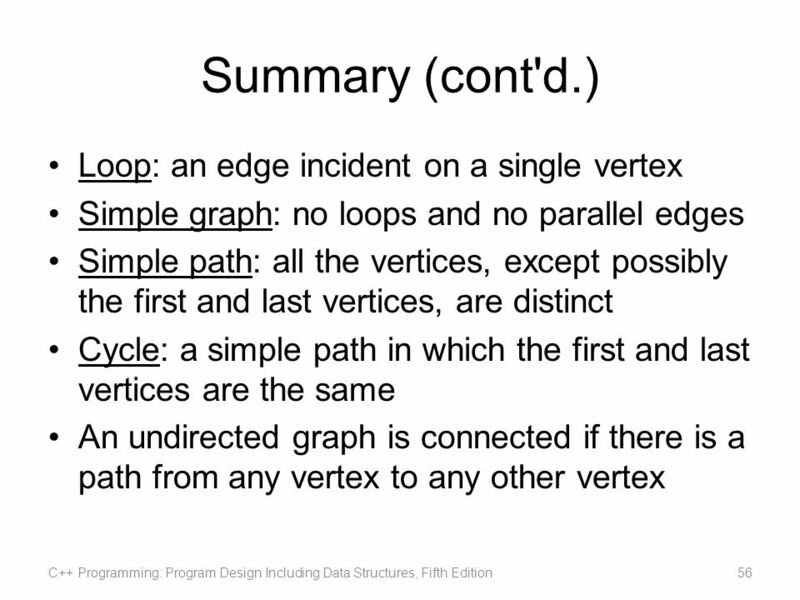 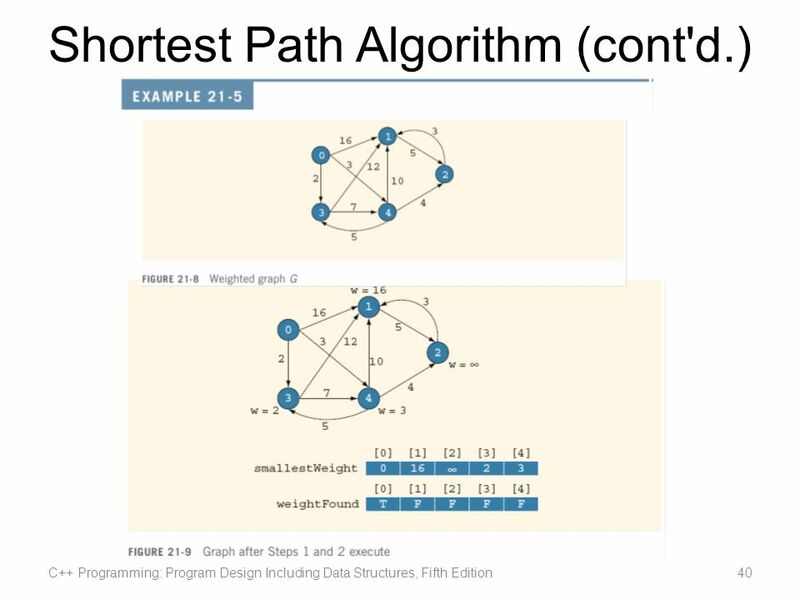 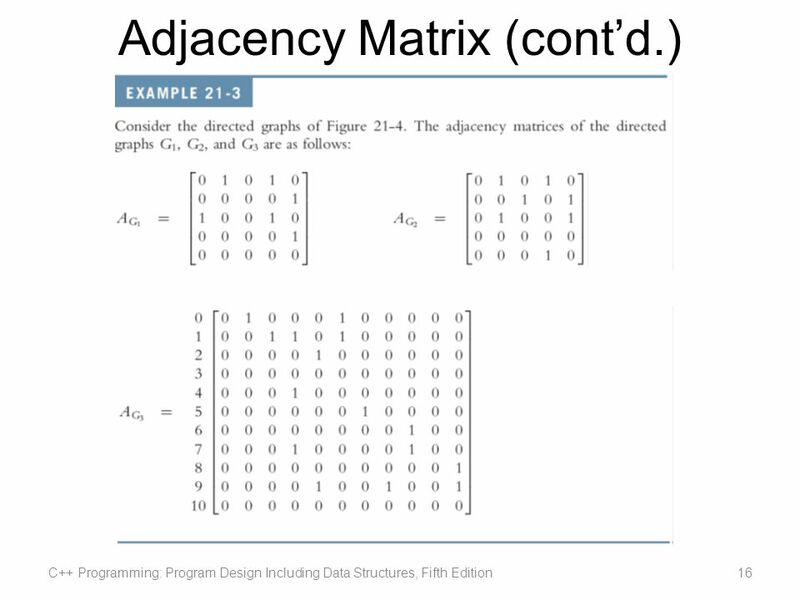 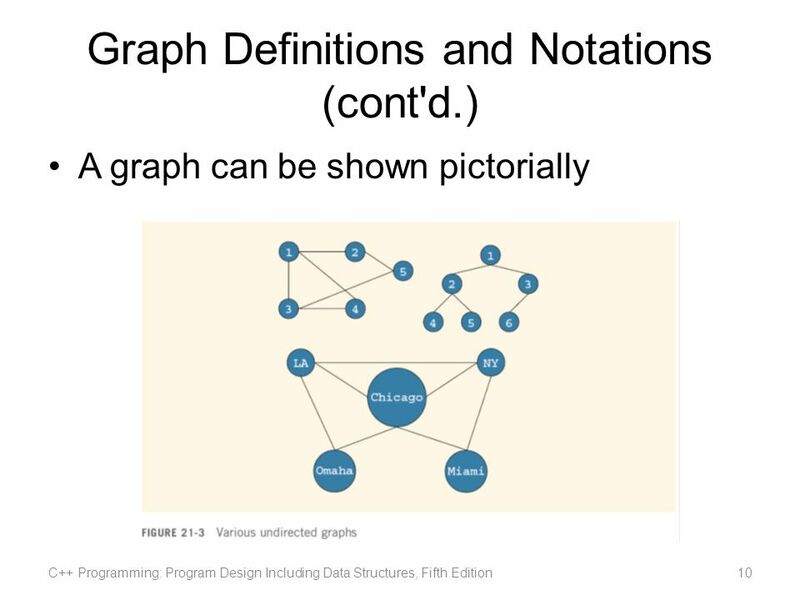 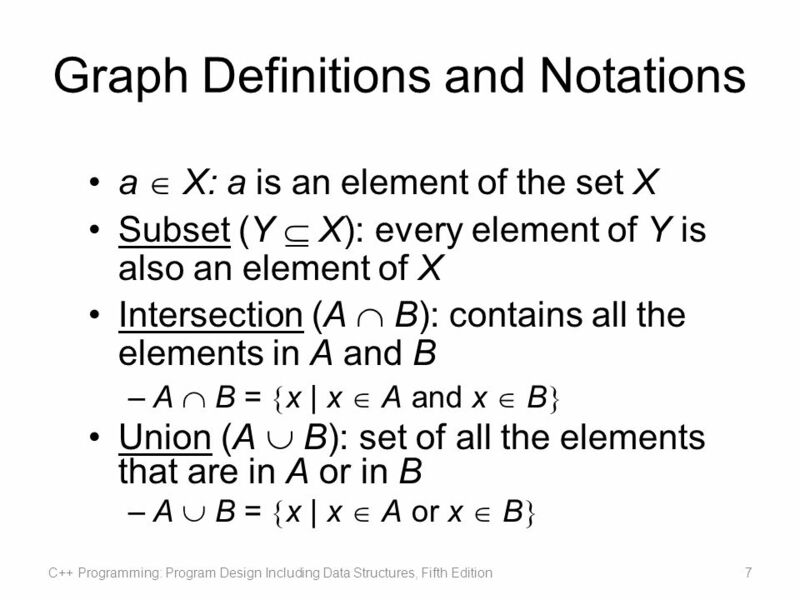 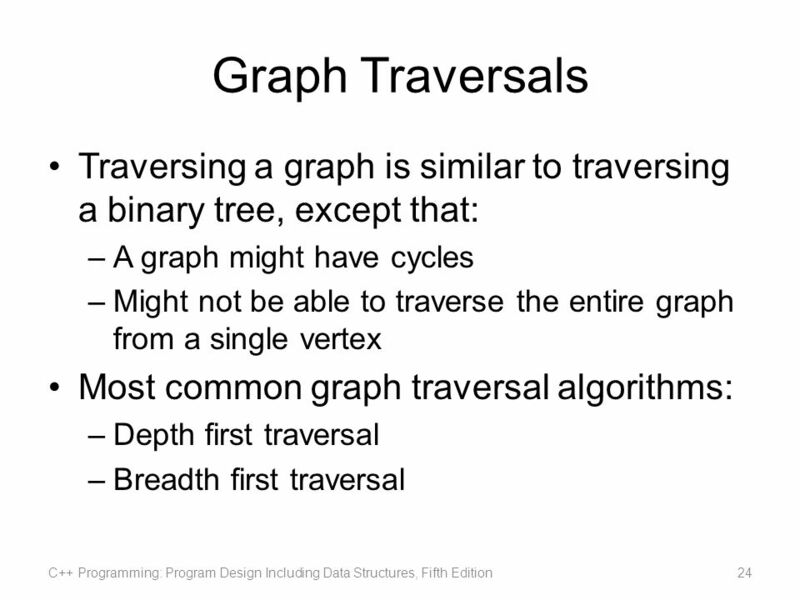 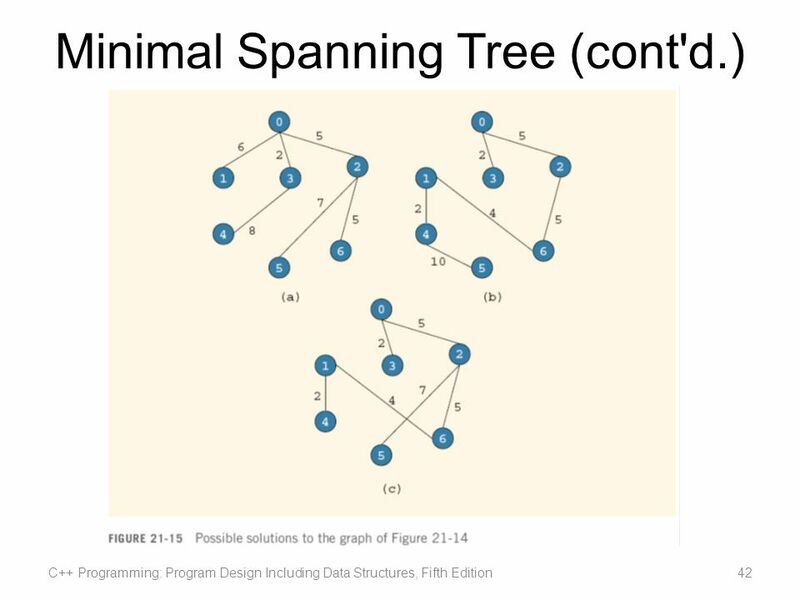 Graphs Chapter 30 Carrano, Data Structures and Abstractions with Java, Second Edition, (c) 2007 Pearson Education, Inc. All rights reserved X.